Classic BV Larson book. 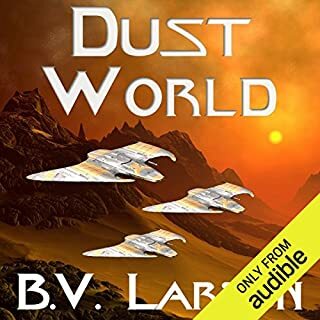 Cool characters, Excelent dialog, witty, great one-liners, and lots stuff blowing up in the cosmos. What's not to like? Sad to see the series end, but enjoyed the ride. Absolutely. It is a unique series, great plot, great protagonist, Excellent writing style. Col. Kyle Riggs. One of my favorite heroes of all time. Considered an outlaw, looked at indifferently by most of senior officers, chased by the bad guys, good guys, friends, several world governments, multiple alien species that consider him to be Earths leader and greatest warrior. I love deeply flawed, but brilliant protagonist in a novel, and Riggs fits this profile better than nearly any character I've ever seen. Yes, I stayed up late to buy it as soon as it went on sale. I really enjoyed this book, and series. Col. Kyle Riggs is a true hero similar to John McClain in the Die Hard Movies. He gets thrown into extraordinary circumstances against his will, and ends up being the deeply flawed, but super effective savior of Earth. Riggs is the type of man that will ignore his government, and entire senior staff when directing an order. This order may result in millions of deaths on earth, but to Riggs millions of deaths is necessary sacrifice in order to save billions. He is a true Cowboy. The books are all well written with a perfect mix of action and dialog. 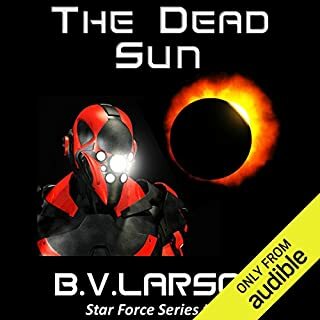 I'm sad to see the series end, but I have high hopes for B.V. Larson as a sci-fi novelist going forward. 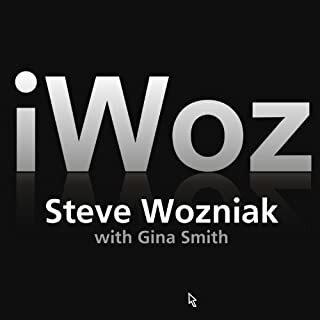 What made the experience of listening to iWoz the most enjoyable? Wozniak's upbeat, non judgmental, and positive tone. There are to many books about Apple's History, most of which are crappy and littered with falsehoods. The real story comes with a combination of Walter Isaccson's Steve Jobs Biography and iWoz. The two childhood friends are as different as night and day, but both were essential to the founding of Apple and the development to the first practical personal computer. Woz, was the engineering brains, and Jobs was the business brains, and both are required reading for the complete picture of the PC revolution.